The most common support questions asked of Shift - our diatonic granular pitch shifter, now in its second iteration - are: "Can you move the pitch shifter into the delay's feedback path? "; and "What does Echo Shift do?". To which we answer: "Yes, it's called Echo Shift"; and "It moves the Pitch Shifter into the delay's feedback path." It's probably easier to hear this effect in action than it is to describe it, so here are some audio snippets with annotations for clarification. It may also help to refer to the signal flow diagram from the manual, reproduced below for your convenience. 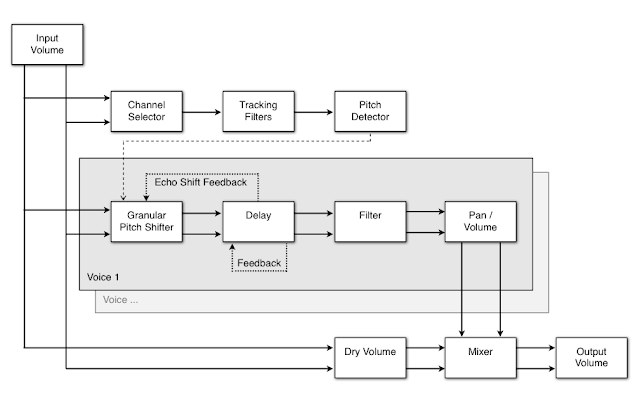 With Echo Shift switched off, the pitch shifter comes before the delay, and the delay feeds back into itself. The key point here is that incoming audio is pitch shifted only the once. The following audio file demonstrates a short orchestral stab shifted two semitones by the pitch shifter. You hear the dry signal first, followed by the shifted echoes. 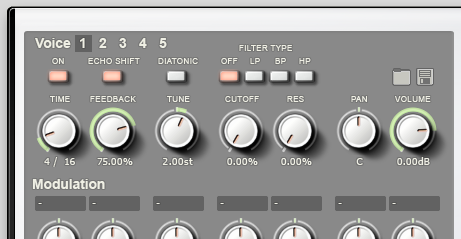 When Diatonic Mode is enabled, Echo Shift is automatically disabled. 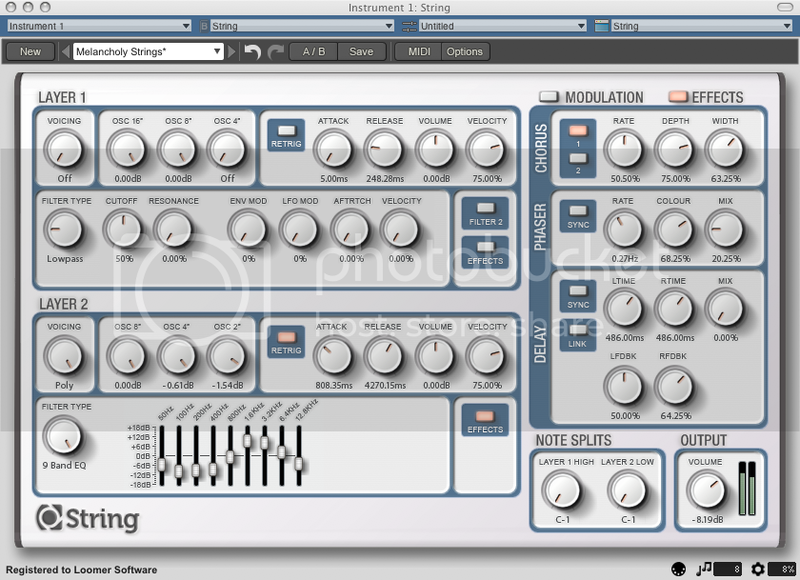 Diatonic mode requires a monophonic signal to track and harmonize, and so an Echo Shifted signal, effectively polyphonic due to the echoes feeding back, is not an appropriate source.